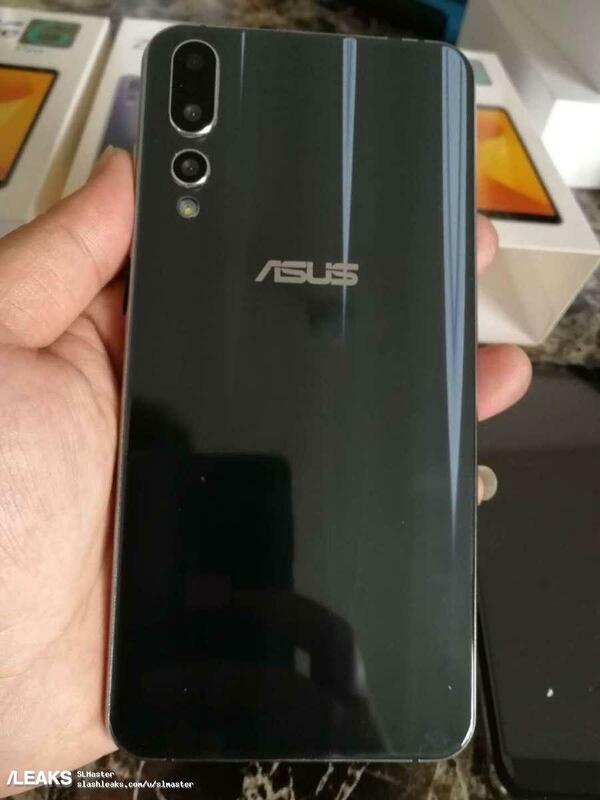 A new set of images allegedly pertaining to the Asus Zenfone 6 (2019) Pro show a phone with triple rear cameras. 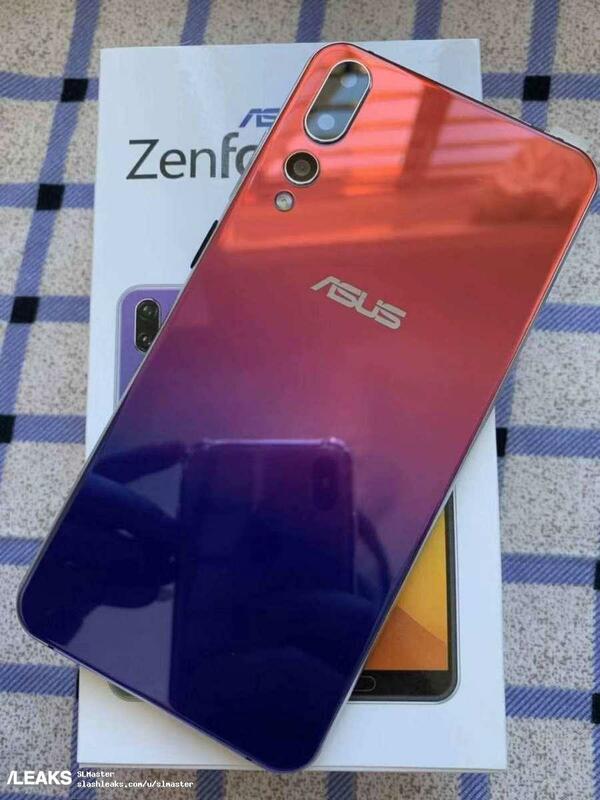 However, they fail to confirm the rumored off-centre 'droplet' notch alluded to in other upcoming Zenfone leaks. In fact, with its relatively thick bezels, sensor bar and chin with fingerprint sensor, the front panel shown in this new post looks decidedly out of place in 2019. 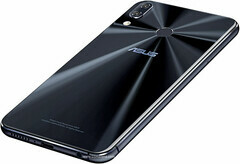 The new Asus Zenfone, which may have a model name along the lines of 6 (2019), has become the focus of numerous leaks due to renders and live images showing a phone with an unusual form of notch. This version of the screen technology looks similar to that of the Essential PH-1, albeit possibly more rounded. Unlike the PH-1, however, this 'droplet' is portrayed as set off to the right of the screen, rather than dead center as usual. A new set of live images, in which a box with the legend '6 Pro' is clearly visible, does not reiterate this design choice, however. The leaks also show a phone with an Asus logo, but with gradient finishes rather than the OEM's usual shiny metallic rear panels. One shows red fading to purple, whereas some of the boxes show a second SKU in which purple turns to green mid-way through the back of the phone. 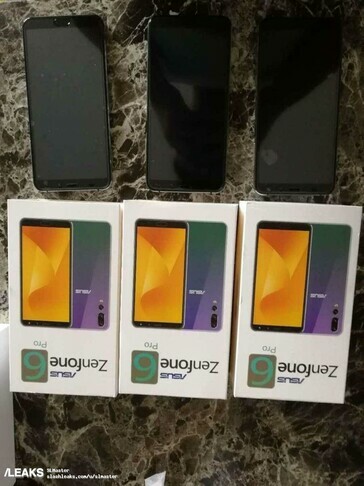 Another picture shows the same device in solid black. The red-to-purple device also exhibits a triple-camera set-up. However, the box on which it rests also show a rather old-school front panel, which even has a fingerprint reader embedded in a chin. This is confirmed in an additional image in which similar front panels, this time showing sensor bars devoid of any kind of notch, are shown in three separate devices. These phones are shown alongside boxes on which the full name 'Asus Zenfone 6 Pro' is visible. On the other hand, there is no further evidence that these leaks could prove true at this point. In addition, the design on the box fronts could be said to look less than professional. On the other hand, it could be that Asus has decided to focus on a 2019 camera arrangement in this upcoming device at the expense of other specs. As the Zenfone 6's release has not yet been confirmed, there is no way of reinforcing these new leaks at present.